Have you ever experienced a flat tire in the middle of the road in UAE? If you have, you will know how painful and stressful it can be. With every drive you take, the health of your car tires deteriorates. There are many signs which signify that your car tires need to be changed but for that you need to understand when these signs appear. Also, if you are planning to buy used cars in Dubai, make sure that the tires are in a usable condition. Those who have newer models, mostly above the 2008 model, are most likely to have a low tire pressure warning system in place. 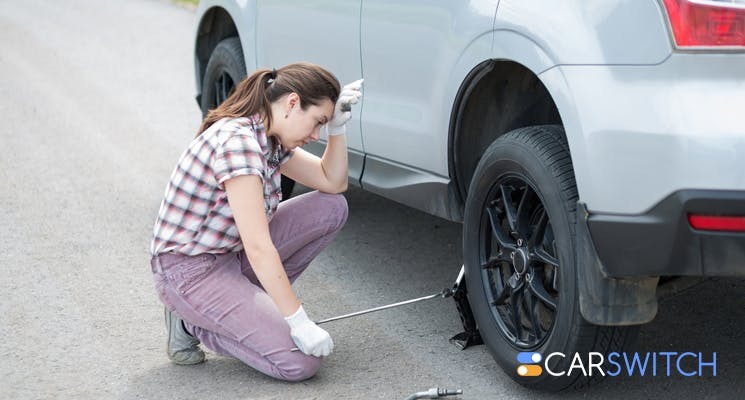 If the sign shows a ‘U’ with an exclamation in the middle, it means that one of your tires is under-inflated which can be the root cause to a larger problem. One of the major indicators of a tire replacement is the lessening of the tire’s tread depth. A tire tread is the rubber layer of the tire that touches the ground and provides traction on different surfaces. Reduction in the tire tread can result in poor traction which will lead to the car skidding over the road and can also lead to reduced gas mileage. If you feel that the tire tread of your car is reduced, you should immediately take it to the mechanic. It is a matter of time that your car’s tires begin to show visual signs of damage and you should definitely look out for them. Cracks may begin to appear on the sides of the tires and can be easily detected. These cuts on the tires may signal a leak or indicate a future tire burst. Once you’ve detected them, you should get your tires to the repair shop and think about getting them replaced as soon as you can. Your tires are aging with your car and with time blisters, slits or bulges may start appearing on the exterior of the tire. These are not necessarily visible but can cause leaks which will cause the tire to deflate. This is an apparent sign that tire is wearing out and needs to be changed. If you’ve been regularly driving a car, you will most probably know how much your car vibrates normally. It is possible that there might be more vibration than there typically is. It usually means there is something wrong with the tire or if it’s not the tire, whatever might be causing the vibration may damage the tire. Too much vibration is always a danger sign. You can avoid this tire trouble by keeping track of your car maintenance schedule. Keeping a check on these signs will save you from a lot of trouble. Regular maintenance of your car is a definite must so that there are no unexpected car breakdowns in the scorching summer heat of Dubai. If you’re planning to buy a used car in Dubai, check out CarSwitch.com which provides a 200 point inspection report with each and every car and gives prior information about the condition of the car and its tires. Buying a car in the UAE can be a challenging task but it doesn’t have to. With the emergence of so many ride-sharing platforms, the time is not far when the need.